DBHS seniors will head across the country to attend Ivy League schools. Clockwise from top left, graduating DBHS seniors Matthew Ho, Brian Chang, Jade Chen, Emily Jacobsson, Joshua Yan, Pablo Martinez, Derek Su, Amy Xia, Hailey Shi and Ashley To will be heading off to Ivy League schools in the fall. While Ivy League schools often seem to be an out-of-reach possibility for many, at least 10 Diamond Bar High School seniors will be making their dreams a reality as they prepare to head to some of the nation’s most elite universities this fall. 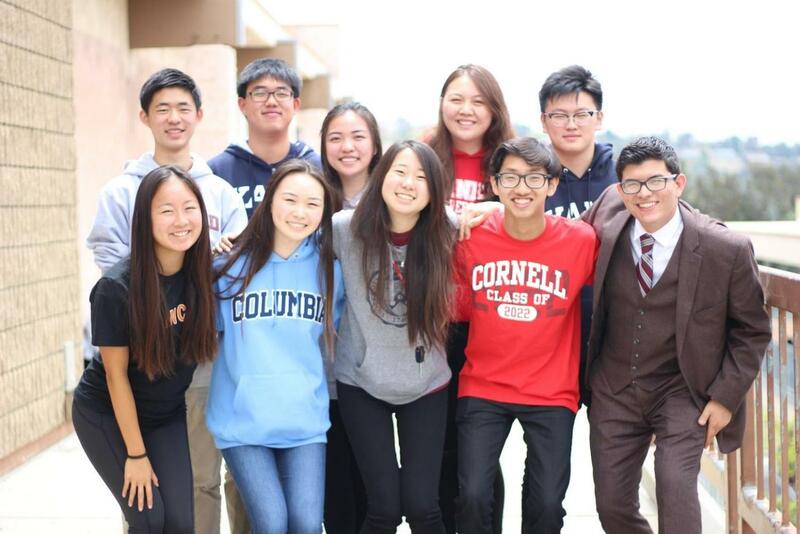 Among the seniors who have recently committed to attending Ivy League level schools are Pablo Martinez and Matthew Ho to Harvard University; Ashley To to Princeton University; Hailey Shi and Jade Chen to Columbia University; Brian Chang and Joshua Yan to Yale University; Amy Xia to University of Pennsylvania and Emily Jacobsson and Derek Su to Cornell University. Martinez, who plans to study theoretical physics, will be heading off to Cambridge, Massachusetts to attend Harvard. Martinez decided to attend Harvard despite receiving an early admittance to Yale, where he was initially leaning toward. During his high school career, Martinez was part of Mock Trial, captain of the Science Olympiad team and president of the debate club. Having been one of the 1,962 of 42,749 candidates accepted—a record low of 4.59 percent acceptance, the lowest of any Ivy League school this year—Martinez offers up advice for hopeful students applying for college next year. Shi will travel to New York City to study visual arts at Columbia. “I never really thought of Columbia as an option for me, so when I did get accepted it was really shocking and surprising for me,” Shi said. As an artist whose accomplishments include winning the Congressional Art Competition and the 17th Annual National Holocaust Art and Writing Contest, Shi points out the artistic merits of New York City as one of the deciding factors for why she wanted to attend there. “New York City is such a vibrant community, and I think it’s really important for me as a growing artist to want to be surrounded by other people who also share my ambitions,” Shi said. Su will also be traveling to New York to attend Cornell as a human biology, health and society major. During high school, Su was the vice president of the Claremont Pomona chapter of the Red Cross executive board, concertmaster of the DBHS concert orchestra and a youth board member of the San Gabriel Valley Pomona Red Cross Board of Directors. While he was also accepted to UC Berkeley and UCLA, Su ultimately decided to attend Cornell because of the people there. Also leaving California behind is To, who will be attending Princeton University in New Jersey as an environmental engineering major. To, who was also accepted to Cornell, UC Berkeley and Georgia Tech, decided to attend Princeton because it offers certificate programs that allow students to pursue both arts and sciences.